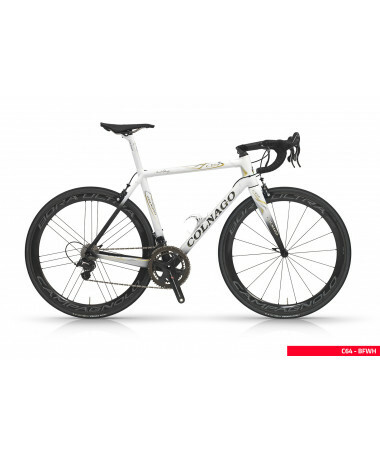 Colnago C64: completely handmade – “tailor-made,” it could be said – in Italy, with revolutionary tubes (larger, lighter, more durable), the C64 is the fruit of more than two years of research. Yet, it was designed based on an almost immeasurable history of cycling innovation and success – one which began in 1954. 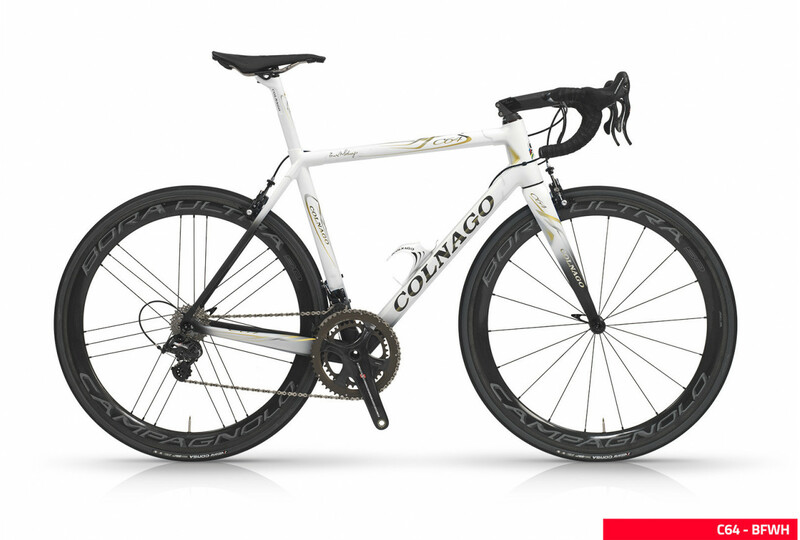 The C64’s tubes and lugs are made of the finest carbon fiber, making it a unique frame in the world – one that cannot be compared to anything else. In the C64’s design lies Ernesto Colnago’s knowledge and experience, gained from a lifelong pursuit of cycling perfection.